In my second year of teaching, I implemented something in my classroom that was an absolute game-changer. In my first year of teaching, I knew the kind of teacher I wanted to be and how critical building relationships with my students was to achieving that goal. But by my second year, I also knew how hard it was to quickly and authentically do so with 150 young people. That year, my roommate was a more veteran teacher, and as she pored over dozens of letters from her own students one night, she shared her wisdom with me. Letter to the Teacher! In short, you require students to write you a letter once a week for a few weeks and then sporadically throughout the year. It could be a letter about themselves, asking you about yourself, or really writing to you about anything that’s school appropriate. If a student wants a reply from you, they must say “write back”, and then you respond via note to every student who wants a reply. It’s such a simple idea with countless benefits (and of course one major challenge–#notime! ), but truly revolutionized my classroom and the gains I was able to make with my students due to the powerful relationships we built. While building relationships is just one piece of the pie when creating a classroom climate in which students can excel, it’s an essential one. It doesn’t matter how good your “classroom management” is, without this piece, your class won’t provide all the opportunities it can for students (at best), and could be a place where no one—you included—wants to be (at worst). Letter to the Teacher is a great way to cultivate strong relationships with all your students and create the conditions in which incredible academic and personal growth can occur. Below you’ll find the practical “how-to’s” and resources for implementing this in your secondary classroom, as well as the benefits of doing so. 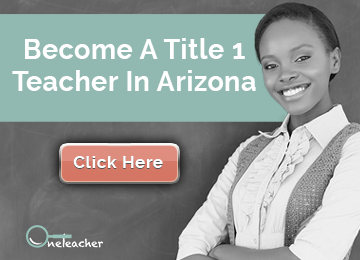 If you need more information, don’t hesitate to comment below or email me at Nina.Tinsley@oneteacheraz.com. Build in time. 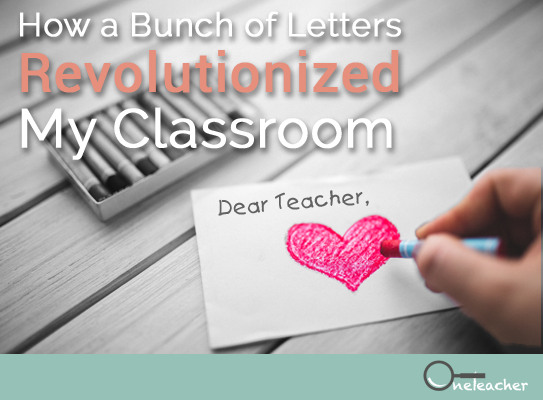 Set aside 10 minutes of your class for students to write you a letter. I did Letter to the Teacher on Thursdays as our Do Now/Warm Up. You can find a sample PowerPoint slide introducing Letter to the Teacher here, but you may need to answer some questions before setting your students free to write. The first day was definitely more challenging because students felt awkward, had questions, didn’t know what to write, etc..
Repeat. When I first started Letter to the Teacher each year, I did it once a week for about three weeks. I found that this was enough to establish it as a “thing” we did as well as allowed kids to get comfortable with it. I then went to once every two weeks-ish and then once a month or once every few months. Because of this, the time investment up front payed off without having to invest hours in letter writing for the rest of the year. Besides, after a few weeks of doing it, students were tired of writing to me and the lines of communication had been opened, so the letters weren’t quite as necessary. Write back. The reason I typically did Letter to the Teacher on Thursdays was so I could devote some time to reading letters and writing back over the weekend. I bought one of those half-ledger notepads like this one and wrote my replies on that. I answered students’ questions, wrote them follow up questions, and generally tried to carry on the conversation they had started. I wrote kind of big and didn’t write nearly as much as they did, but each letter was personalized and addressed the things they wrote about. Hand them back. First thing in class on Monday, I handed back the letters while students did their Do Now/Warm Up and allowed students to quickly read my responses while they were working. Doing this created some excitement around the letters and several students who hadn’t been so keen on the letter writing or hadn’t asked for a reply the first time were much more excited about engaging in the activity the second time around. Be timely. Reading and responding to so many letters can definitely be a lot of work depending on how many students want responses from you, but 1) it’s amazing to see what students have on their minds when they’re candidly asked and 2) responding to letters is something you may be able to do while relaxing or watching TV, so while it’s work for school, it never felt like schoolwork to me. It’s so critical to hand back your responses in a timely manner because it’s an opportunity to deliver on a promise to students (the promise being that you’ll write back to them) and therefore build trust with them and because it shows that you value what they have to say—it’s not just another assignment, but that you truly care and want to get to know them. Take notes. Because I don’t have the best memory and teaching can be chaotic at times, I used to write quick notes to myself as I was reading letters so I could follow up with students. For example, regardless of whether they wanted a written response, if someone told me they were playing a soccer game on Tuesday after school, I wrote myself a note (“5th period—Samuel—soccer, Tuesday”) so that I would remember to ask him about it on Wednesday. This went SUCH a long way in building relationships with students, both for them and for me. I became so much more invested in them the more I got to know them and the reverse was true as well, enabling us to all work harder towards a greater good. You can do the (next-to) impossible. Letter to the Teacher allows you to build relationships basically with all your students at once, which is next to impossible in secondary classrooms otherwise. You can get to know your introverts, tricky students, and everyone else. Letter to the Teacher allows you to build authentic relationships in a different way, allowing you to reach more students. For me, it was always tricky to build relationship with my quieter, shyer students, but Letter to the Teacher allowed us space to get to know one another in a lower-stakes environment. This was true for the outgoing kids who weren’t going to come in just to chat, as well as the kids who often misbehaved in class and greatly benefited from a relationship with a teacher that wasn’t founded on them getting in trouble. In writing a letter, there’s not the pressure of a 1:1 conversation or group lunch (both of which I’m a fan of, too), and doing Letter to the Teacher over several weeks permitted kids to be more guarded in their letters at first and settle into the process on their own time if need-be. To this day, some of the best relationships I had with students were built on our early Letters to the Teacher. It’s academic! While it has a clear culture-building purpose and you’re not checking for spelling and grammar, providing kids a structured opportunity to write builds their literacy skills. It makes a statement. Incorporating Letter to the Teacher in your classroom makes a bold statement to your students about what you value and how much you care about getting to know them and allowing them to get to know you. Of course, a statement isn’t enough, you need to back it up with everything else you do and how you act, but if you’re devoting time to Letter to the Teacher, you’re likely going to. It’s a two-way street. Letter to the Teacher allows students to get to know you not just vice versa. This is so critical if they’re going to trust you to lead them to the academic gains you plan to. It’s the gift that keeps on giving. Especially in middle and high school, kids have “off” days. As these days come up throughout the year, Letter to the Teacher provides a constructive and reliable outlet for students to fall back on. I often had students come into class in a funk, and instead of acting out or disengaging completely, they’d ask to write me a letter. They were then able to re-engage positively in class, knowing not only that I could be a trusted source for them, but also that their issue would be heard and followed up on. While I was close to many students from my first year of teaching, it took so much longer to get to know them than it did to get to know students in subsequent years as a result of Letter to the Teacher. And on days when I knew a student was hurting but I had a classroom full of 30+ students to teach, I was so grateful for having a positive, constructive tool to use to connect with them individually when they needed me most. It saves time in the long run. While implementing Letter to the Teacher is most definitely an investment in time (class time and personal time for you), you’ll save time and aggravation throughout the rest of the year on classroom management issues because you’ll have built one piece of a strong foundation in the first couple of months of school. For all students, but especially those in low-income schools, positive relationships with teachers are so, so critical for both behavioral and academic success. Time. While it’s not a time-consuming part of class, it is definitely a time commitment to read and reply to the letters. There’s really no way around that, as a large part of what makes this such an amazing activity is the dialogue it opens up between teachers and students. 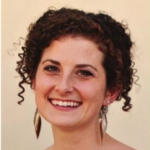 The time saving shortcut of just having students write you a letter without offering to respond to students who ask for it could send the message to students that their relationship with you is all about them being vulnerable and doing the work, rather than one in which you’re willing to give of yourself, too. It’s sort of high-stakes. You have to follow through and deliver on your promise of responding to kids who want responses, and you have to do it in a timely fashion. It’s one thing to forget something academic (like that you were going to check the homework or look up the answer to a question), but it’s another to forget something personal. Both are bad, but if you’re trying to cultivate a strong culture, forgetting to follow through on a critical culture-building activity is one way not to do it. You also have to stick with Letter to the Teacher for a few weeks if you want everyone to reap the benefits of the time and energy you put into it. Kids may be shy at first, but sticking with it will allow them to open up to you and for you to truly dialog with them. It’s only one piece of the pie. This isn’t a downside per se, but of course Letter to the Teacher is one (amazing!) tool to use when creating the strong classroom culture you want, but it’s not the only one. You need to have a strong classroom management system in place, as well as a plan for other ways to get to know your students and allow them to know you. 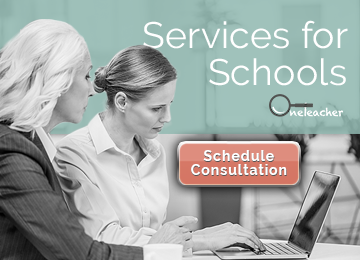 Check back next month for even more relationship-building ideas, and if you’re struggling to figure out which classroom management system will work for you or how to implement your current system with fidelity, lean on your admin team, your colleagues or even some of your former teachers.